Colorful stones with a colorful history! 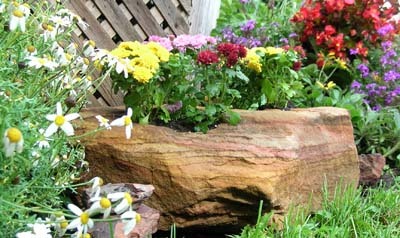 Our unusual stone planters are one of our most popular products because of their rich hues and proud past. Many have been reclaimed from farms in central Ohio after use in old barn and farmhouse foundations. We think they now deserve to be front and center in the landscape, so we've given them second lives as planters. 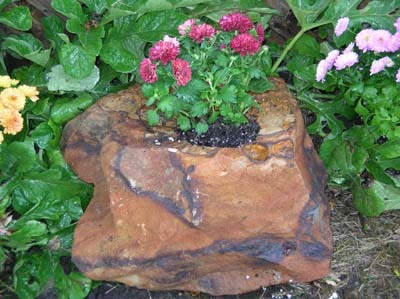 The centers are drilled all the way through so you can easily switch out seasonal potted plants or simply fill with soil to grow plants from the rock.